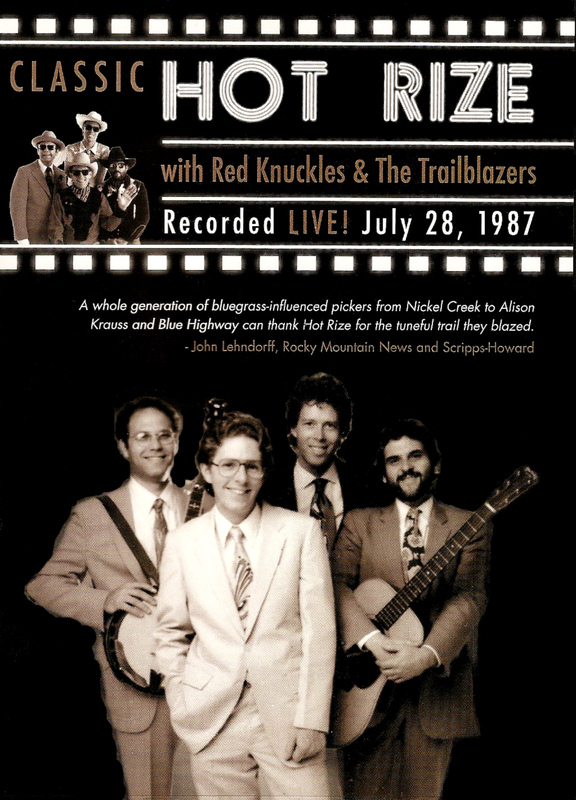 Hot Rize featured in Bluegrass Unlimited Revised online version: The band's history from the 70s to the present, with interviews with all members. Article on Hot Rize on JamBase.com Incl. in-depth interviews with Tim, Pete, Nick. 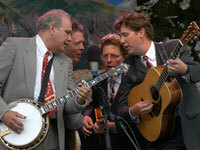 The bluegrass quartet toured and recorded full-time for 12 years from 1978 -1990, scaling back to several performances a year until the 1999 passing of founding member Charles Sawtelle. Hot Rize resumed performing in 2002, adding Nashville guitar ace Bryan Sutton in 2002 to join long-term members Tim O'Brien, Nick Forster, and Pete Wernick -- who first delivered the unique Hot Rize sound together with Sawtelle in 1978. Hot Rize's award-winning performances are a combination of traditional and contemporary bluegrass and the mysterious but amusing appearance of a retro-Western outfit known as Red Knuckles & the Trailblazers. The zany foursome delivers unbelievable yet believable versions of country and western classics in the style of Hank WIlliams and Bob Wills. Together the two bands have been winning audiences' hearts for decades. 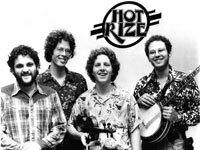 Individually and collectively, Hot Rize represents a far-reaching set of talents including national radio host (Forster), Grammy-winning Americana icon (O'Brien), bluegrass' foremost teacher (Wernick) and bluegrass' most-awarded guitarist (Sutton). Its longevity spans more than half of the history of bluegrass music, having played in virtually every state, four continents-- on TV, radio, and at festivals worldwide. For more information on the band's members, history, and schedule, visit hotrize.com, the band's official web site. Pete receives IBMA Distinguished Achievement Award at the World of Bluegrass Sept./Oct. in Nashville. Hot Rize bandmate Tim O'Brien presented the plaque for his "integral role in the wide world of Bluegrass." Hot Rize's album, "So Long of a Journey", has garnered high acclaim. It was selected by County Sales as "Best Traditional Bluegrass Recording of 2002," and won enthusiastic praise in Billboard, Bluegrass Unlimited, and many more. Both the music and the package are unique, with many photos and heartfelt messages from Tim, Pete, and Nick. Nineteen music cuts in all, including some never recorded by the band, and many favorites from throughout Hot Rize's three-decade history. This is Pete's favorite Hot Rize record! Click here for Hot Rize CD. With Hot Rize doing Radio Boogie, jamming with Steve Goodman, more!